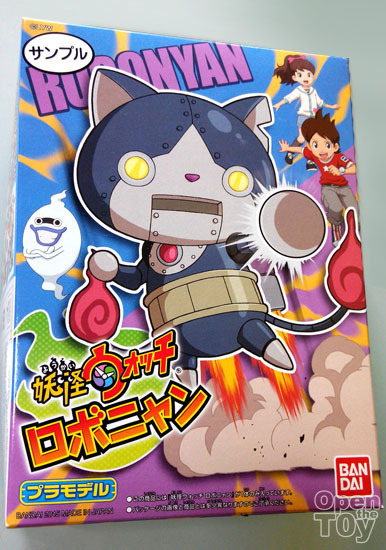 Among the whole Yo-kai Watch series, one of the Yo-kai that I am interested is the Robonyan. Why? I can never get to understand why a Robot can be a ghost or spirit. 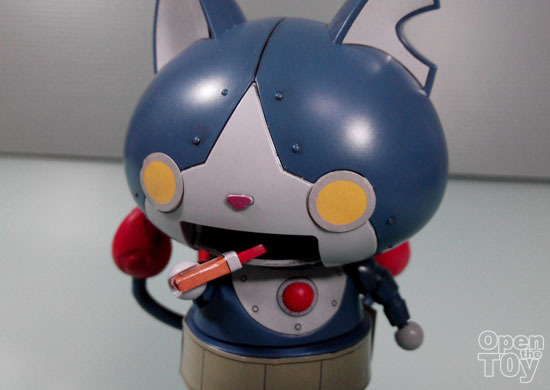 Anyway as a robot, he is awesome! I certainly welcome it. 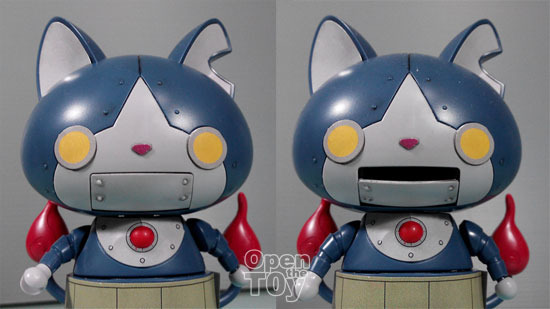 The building up was rather simple as you do not have changing of face expression like the other in the series. One of his feature is to do the flying punch!! 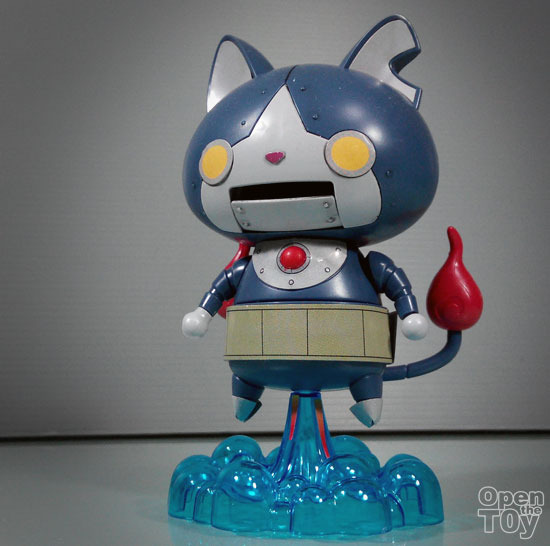 Overall I love Robonyan among the Yo-kai in the series. 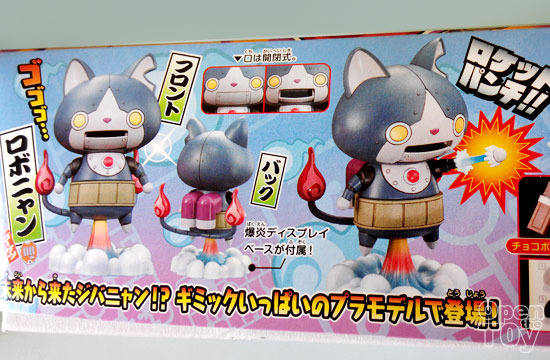 I am considering to get the chogokin (diecast) version of him releasing in this month. 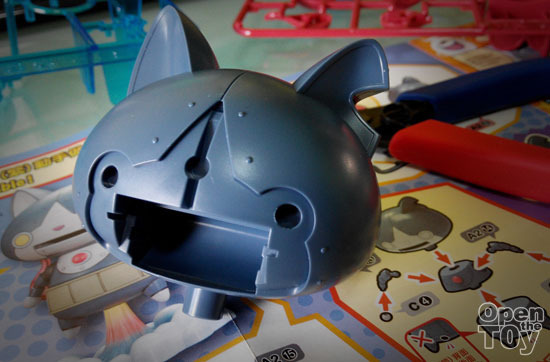 Here's a good close up shot of Robonyan! 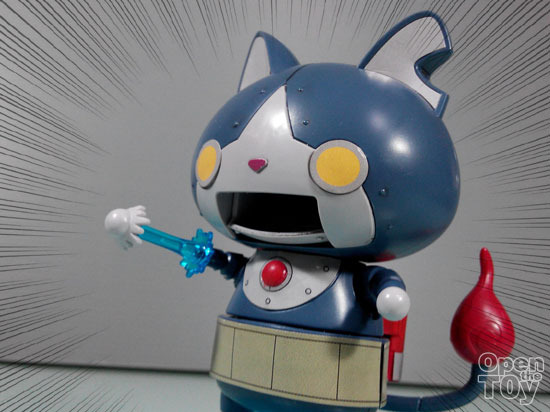 A Yo-kai that almost able to do anything just like Doreamon! 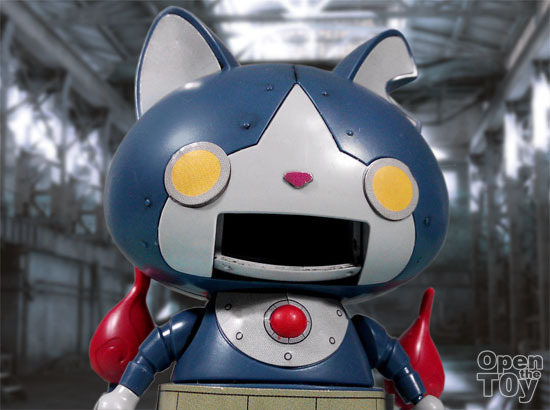 If you watched the Yo-kai Watch series, you would surely fall in love with him. 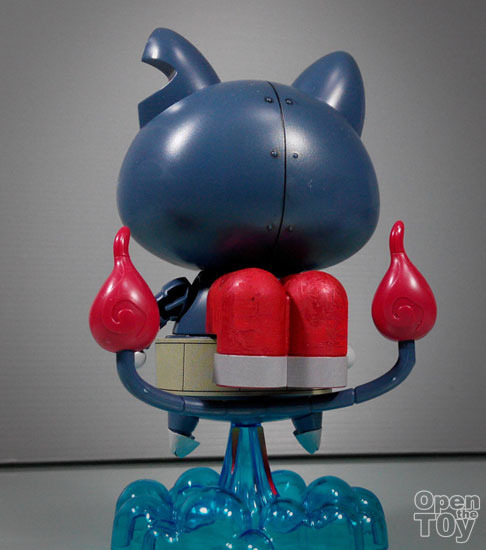 Cute mecha cat. The chip-off ear looks like it had been marked sterilized : ) the last pic showing the hangar as backdrop is well taken.